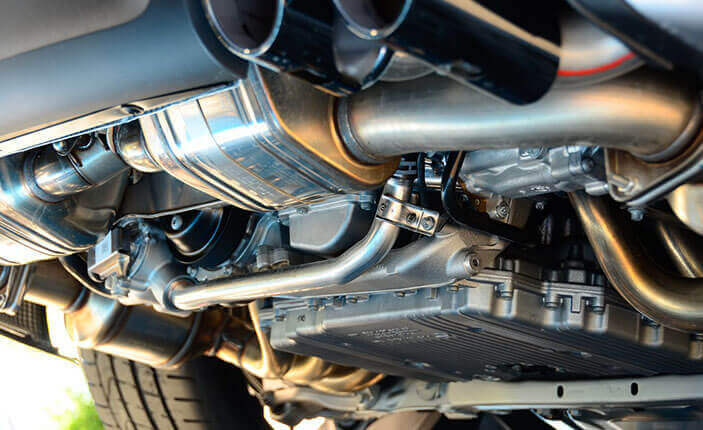 We’ve all heard a car or truck in our Hawthorn, Glen Iris or Camberwell neighborhoods that needs a new muffler. But there’s more to the exhaust system than just the muffler. If you smell exhaust inside the vehicle, roll down your windows and get it inspected. You may smell or see exhaust coming from the engine compartment or under the vehicle if you have a leak. Sometimes the sound from an exhaust leak is loud and obvious. Sometimes it’s a ticking sound when you start the engine that goes away as you drive. That could be a small crack or a bad fitting that leaks when it’s cold but seals up when the metal heats and expands. Now, let’s address the environmental issues. Exhaust gas contains a number of pollutants and particulates. The catalytic converter scrubs some of those harmful substances. And diesel vehicles have systems to deal with soot. Catalytic converters eventually wear out and need to be replaced. They’re expensive so you want to help them last as long as possible by keeping the fuel system clean and replacing your air filter. These components need to be tested for proper functioning with an emissions test from time to time. And that leaves the muffler. The beauty of getting a new muffler is that you can suit your taste: Some want whisper quiet and others like a little rumble. And some like a roar when they drive down our Hawthorn, Glen Iris and Camberwell streets.